Continuing with our new free yoga poses video series for 2011, I would like to present you all with the following video of the easy to do Cat-Cow yoga exercise, which is so very good for your spine, emotional health and digestive system. This is a very common yoga exercise and it is part of almost all schools of yoga. The exercise is wonderful for warming up the entire back and spine, and there are some great variations to this pose which have some unique benefits as well. More on that below. There are 2 articles on the website that detail Cat-Cow. The first explains the basic technique, while the second reveals how to do this exercise to fight fear and overcome the fear of death itself. Here are the links to these articles, for you to review Beginner’s Kundalini Yoga Exercise for Emotional Health and Yoga for Overcoming Deep Seated Fears and the Fear of Death. This exercise, due to it’s abundant benefits is part of many sets here on Mastery of Meditation and Yoga. You will find it in the popular Spinal Warm-up Series as well as Senior Yoga | Simple Yoga Exercises for the Elderly set. In addition to the radical fear fighting modification I have shown in the video, there are also some other more simple variations on how to do this exercise which might suit your practice. The most common of these, is to hold each posture for a longer duration, instead of going back and forth between the poses. The “take posture and hold” is more in line with traditional Hatha Yoga, while the “go back and forth” is more in line with Kundalini Yoga. You are welcome to do it either way. In addition, you can work your optical nerve as well while doing cat-cow. This variation requires you to do the pose with your eyes open and to look up as far as you can when your come into cow pose. Again, you might wish to hold this posture steadily, instead of going back and forth, to work the eye muscles and optical nerve more intensely as well. Ever though this exercise is so simple, many do make a very common mistake when doing it. They tend to rock back and forth instead of arching their back up and down. So be sure to not make this mistake when your practice the pose. In the variation where you hold your breath out and pump your stomach, please do not over do it. Especially if you are a beginner, start out doing it only for as long as you are comfortable and only for a maximum of three rounds. Later, once you become more adept, you can go longer and do more repetitions. For students enrolled in the Online Yoga Teacher’s Training and Certification Program or Online Meditation Teacher’s Certification Program, this yoga pose is part of both programs. In the Yoga Training Manual it is chapter 15 and in the Meditation Training Manual it is Chapter 12, as it is a part of the Spinal Warm-up Series. For easy access, I will be adding this video to the appropriate articles on the website as well. When teaching this pose to your classes I suggest giving them a side view of how to do it, so they see that it your back that is arching up and down. 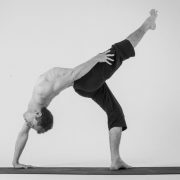 In addition, this pose is excellent to do to during the warm-up portion of your classes. Finally, if you are going to teach the fear fighting variation, then ensure you caution the students to not over strain. The video gives a demonstration of the basic Cat-Cow Yoga Pose, as well as the fear fighting variation. 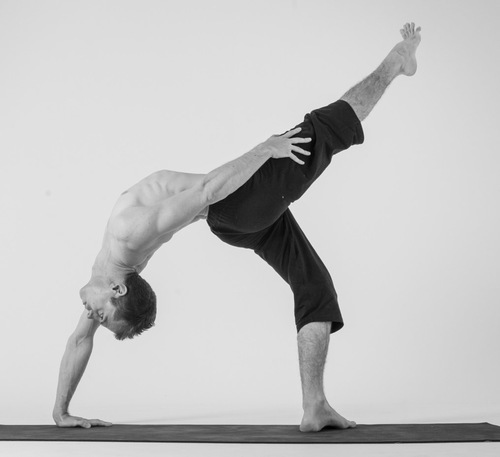 It teaches the breathing that goes with the pose as well as the eye positions. Thank you for the free yoga videos. Do you have any lessons for individuals with osteo arthritis? Any modified versions? I have trouble doing the fire breathing. I am not getting it. great and helpful video. Great site you have here. Thanks!